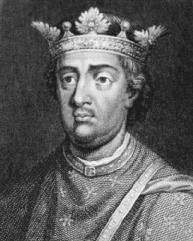 King Henry II was born March 5, 1133, in Le Mans, France. He reigned from 1154 to 1189 and founded the Plantagenet dynasty of English rulers. Henry's many innovations in civil and Criminal Procedure had a lasting effect upon English Law and his expansion of the royal court system made royal justice available throughout England. Building upon the earlier tradition of the inquest, Henry issued several assizes, or ordinances, that introduced the procedures that eventually developed into the Grand Jury. He also developed a number of writs to bring cases from the feudal courts of the barons into the royal courts. In addition, Henry sent itinerant justices on regular circuits through the kingdom to make royal justice more easily obtainable. Henry's expansion of royal justice did, however, bring him into conflict with thomas becket, the archbishop of Canterbury, who opposed the king's efforts to punish members of the clergy who had been convicted of crimes in ecclesiastical courts and removed from their clerical status. Becket was murdered in 1170 by some of the king's men, though apparently not at his command, and Henry thereafter gave up his efforts to punish members of the clergy. Henry died July 6, 1189, near Tours, France.